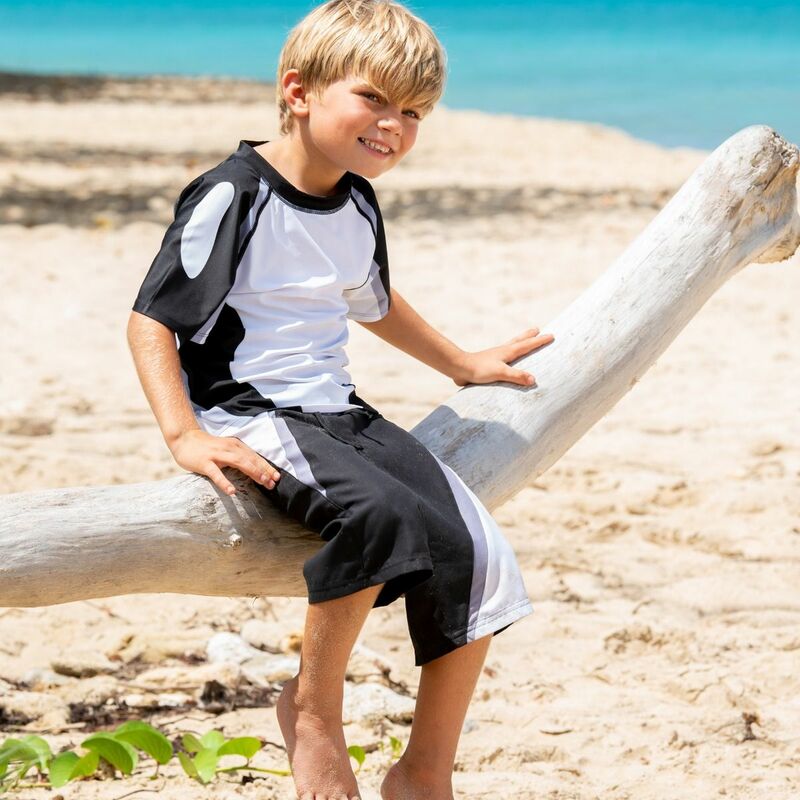 You’ve found the ultimate in swimwear for boys and girls with this two-piece Orca swimsuit set, which includes a silky soft rash guard and matching board shorts. Dive into the water fearlessly with a swimsuit of the same colors as the most regal and recognizable whale of the deep! You’ll want to toss your plain old swim shorts into the sea when you discover this “killer” Orca design! 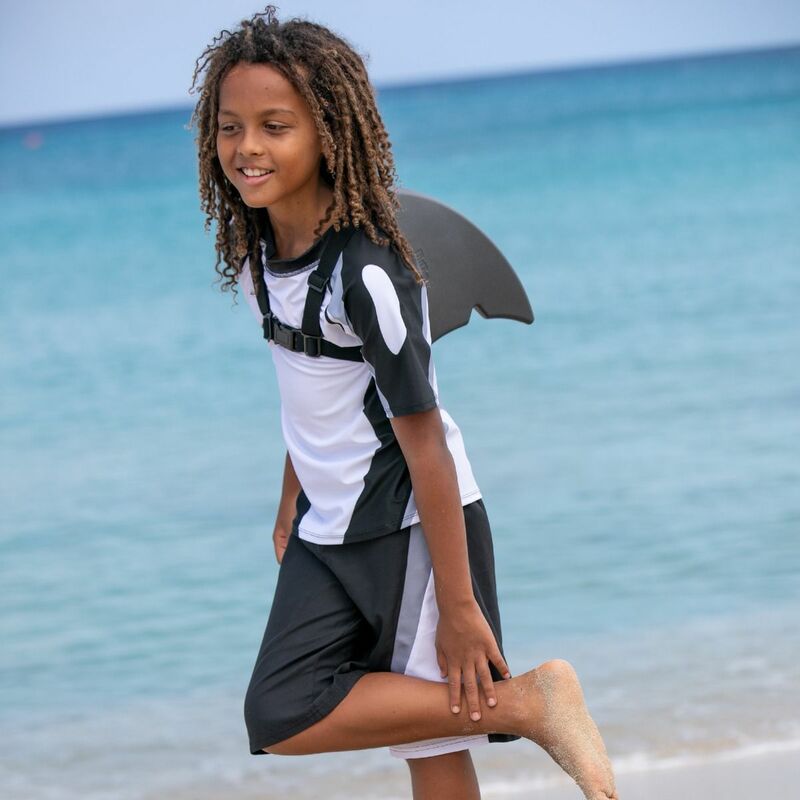 Featuring a two-piece swim set of black, gray, and white design with a well-fitting mesh lining in the shorts and easy to adjust drawstring waist, this Orca swimsuit set for boys and girls will be a welcomed addition to your summertime wardrobe! 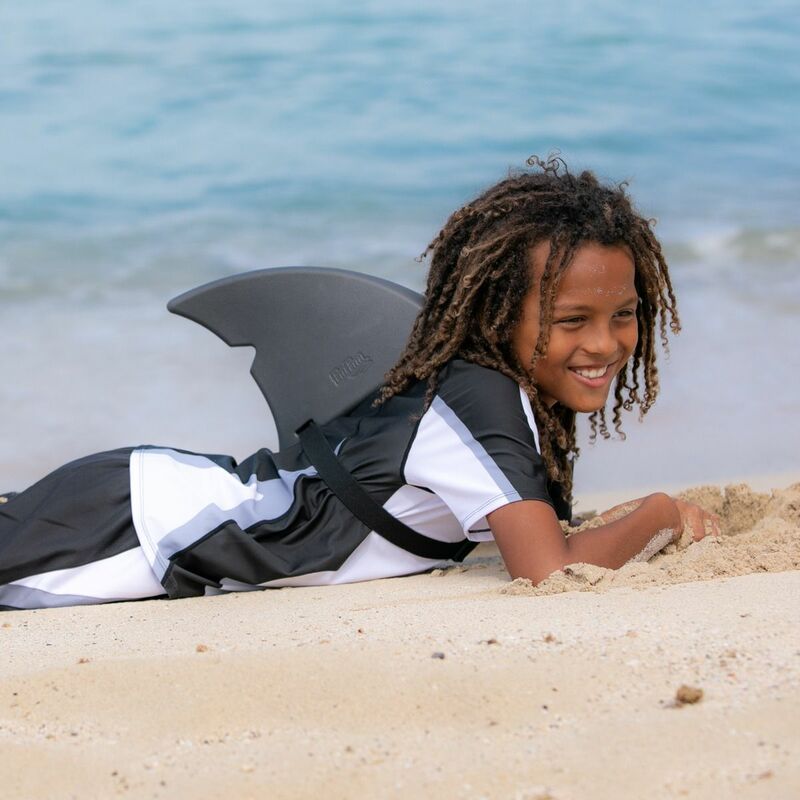 Swimming will never be the same once you’ve owned swimwear from Fin Fun! You’ll expect top-notch products from here on out, and that’s what you deserve. Browse our vast sea-lection of swimsuit styles in a treasure trove of colors—and chances are, you’ll find “the one” that becomes your most prized possession to promote your unique personality.